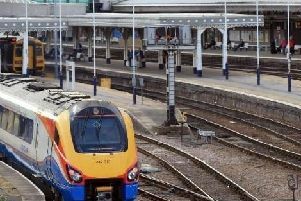 Sheffield Supertram has announced a number of changes to its timetables when the new tram-train link to Rotherham comes into operation. There will be no purple route services from Herdings Park to Meadowhall on Sundays from October 25. A number of timetable changes will come into force later this month. Operator Stagecoach also said there would be ‘minor changes’ to the blue and yellow route timetables.